A DELIVERY boy alerted neighbours to call an ambulance after he noticed a middle-aged man slumped over outside his Maleny home. Sunshine Coast CIB officer-in-charge Daren Edwards said a young man was delivering pamphlets around Macadamia Drv when he noticed the 50-year-old slumped over the front stairs at his house. He alerted the neighbour who called an ambulance before the man died at hospital a short time later. His death is being treated as suspicious and a 36-year-old woman is assisting police. While Detective Senior Sergeant Edwards didn't elaborate on his injuries, he said they "raised suspicions to the cause of death". He believed there were no witnesses to the crime. He encouraged anyone who may have interacted with the man in the days before his death to come forward to police. Crews would remain at the crime scene into the night. 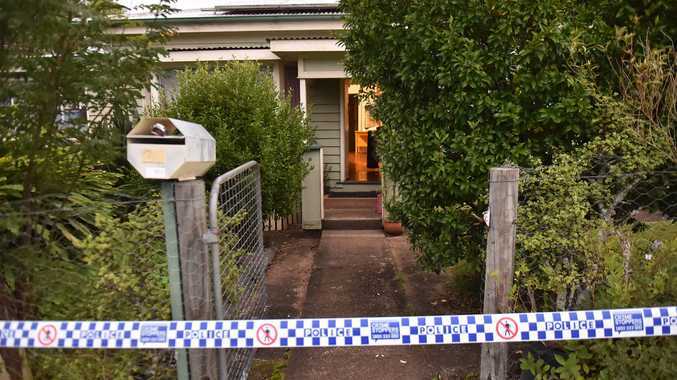 POLICE are investigating the suspicious death of a middle-aged man who was initially thought to have suffered a fall at a Maleny home. The 50-year-old man was located at a home on Macadamia Drv just before 12pm following a "fall", but declared dead at hospital. Police are investigating the circumstances surrounding the man's death, which is believed to be suspicious. A 39-year-old Maleny woman known to the man is currently assisting police with inquiries. Investigators are appealing for anyone who may have seen anything suspicious on Macadamia Drv before 11:30am this morning to contact police.